Known for his health conscious and environmentally friendly policies such as the smoking ban and MillionTreesNYC, Mayor Michael Bloomberg has taken one of his earthly plans a step further into bloom. The Mayor proposed the Green Taxis Act last month, which would allow local governments to regulate fuel economy and emission standards for New York City cabs. 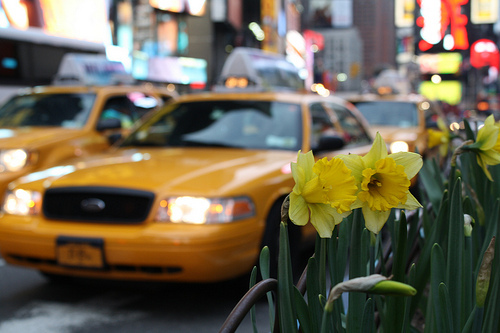 There are more than 13,000 taxis citywide, yet only 4,500 of those are green. Mark Izeman, member of the Natural Resources Defense Council, said hybrid cars can reduce conventional pollutants by as much as 90 percent. According to the American Lung Association, air pollution can damage lung tissue and cause coughing, wheezing and a host of other side effects. Long-time taxi driver Bill Lindauer of the New York Taxi Workers Alliance said he doesn’t deny the health benefits of hybrids—but the price to go green is still a big concern. “Hybrids cost more, initially,” Lindauer said, adding that sometimes there are tax incentives to purchase such cars, yet even these can vary. Still, Izeman said a bill to improve what he called the iconic yellow cab could mean cleaner air across the country.